The Chesapeake and Ohio Canal was the great national project that failed to live up the dream. It never reached its ultimate destination, which was not Cumberland, Maryland (where it wound up), or the Ohio River (as the name implies). The early vision of the canal planners was something far grander and longer, and it’s just one of the secrets of the C&O Canal. In his new book, Secrets of the C&O Canal: Little-Known Stories & Hidden History Along the Potomac River, award-winning writer James Rada, Jr. (pictured right) tells the stories of the canal, its people, politics, and connection to history. If you’re wondering where the canal could have gone, one possibility was that it would have ended at Lake Erie to offer competition to the Erie Canal. You can discover and alternate starting point in the book. Other “secrets” of the canal include: Discovering the connection between the C&O Canal and the assassination of President John F. Kennedy; Finding out how building the canal led to the creation of the U.S. Constitution; Discovering how the Johnstown Flood helped kill the canal; Solving the mystery of two murders on the canal that never actually happened. Rada considers “secrets” in this book as stories that aren’t widely known. When speaking to audiences about the topics of his other “Secrets” books, he has found that people whom he expected to know all of the stories in his book knew half of them. “And those were people who you would expect to know all about the topic,” Rada said. These are stories that Rada discovered looking through old newspapers and journals, and they cover a wide range of areas. Secrets of the C&O Canal contains sixty-seven black and white photographs and illustrations that help bring the stories to life. Secrets of the C&O Canal is the third in a series of books that Rada is writing about regional topics. James Rada, Jr. is an award-winning writer, who Midwest Book Review called “a writer of considerable and deftly expressed storytelling talent.” Leatherneck Magazine called The Last to Fall “a superb book.” Rada has two dozen writing awards from the Associated Press, Society of Professional Journalists, Maryland-Delaware-DC Press Association, Maryland State Teachers Association, and Utah Ad Federation. He has been writing about history for nearly twenty years and still finds it fascinating and new. Rada is the author of twenty books, most history and historical fiction. 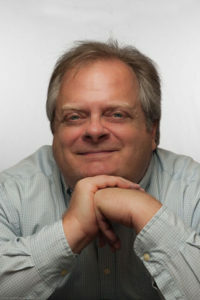 His articles have been published in magazines like The History Channel Magazine, Boy’s Life, and Frederick Magazine. He also writes four local history columns for The Cumberland Times-News, The Gettysburg Times, The York Dispatch, and The Catoctin Banner. Secrets of the C&O Canal: Little-Known Stories & Hidden History Along the Potomac River retails for $19.95 and is available at local booksellers. For more information about James Rada’s books, visit his website at jamesrada.com.